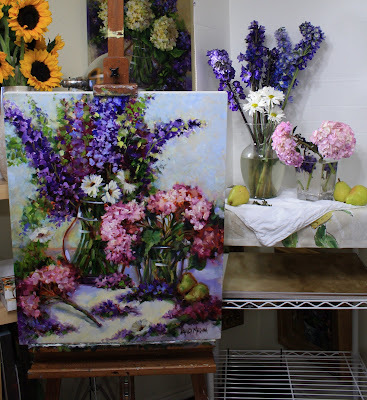 Azure and Pink Larkspur and Hydrangeas is the newest painting in the studio, and likely would not have been possible if I hadn't learned some great tips on how to keep hydrangeas fresh. 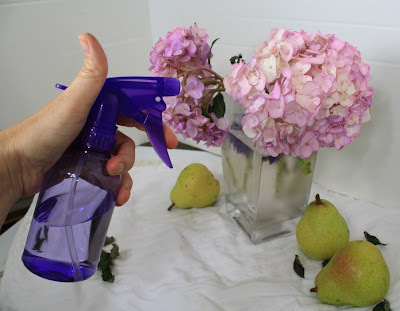 The gal at the supermarket who works in the flower department (yes, the one who gets a big grin on her face every time I enter the store), told me some very common sense ways to keep hydrangeas fresh. She said they are based on the word "hydrate," thus they love water - she said to spritz them with water a few times a day. I noticed as I was browsing her lovely selection that her best bouquets were in the back in a refrigerated section of shelving. 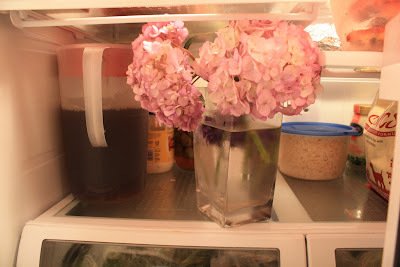 So last night, before I went to bed, I nestled my pink hydrangeas right next to the iced tea inside the fridge. This morning they were fresh as daisies! With all these cool tips, maybe they will last me a whole week! Just think of all the paintings I can do if they hang on that long. Then these $8 per flower beauties may actually earn their keep, instead of fading away much too soon. Spritz your hydrangeas with cool water! 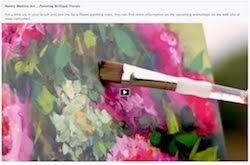 Your painting is breath taking! My moms did not know to spritz the hydrangeas. My moms have some growing in our yard.. they are white and some are blue. Moms wish some would be pink.. My moms are going to do what you do from now on. your last two paintings are the most beautiful way to start my day! 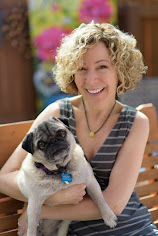 thank you so much for the tips on how to keep them fresh and the stories of your connections to them past and present. 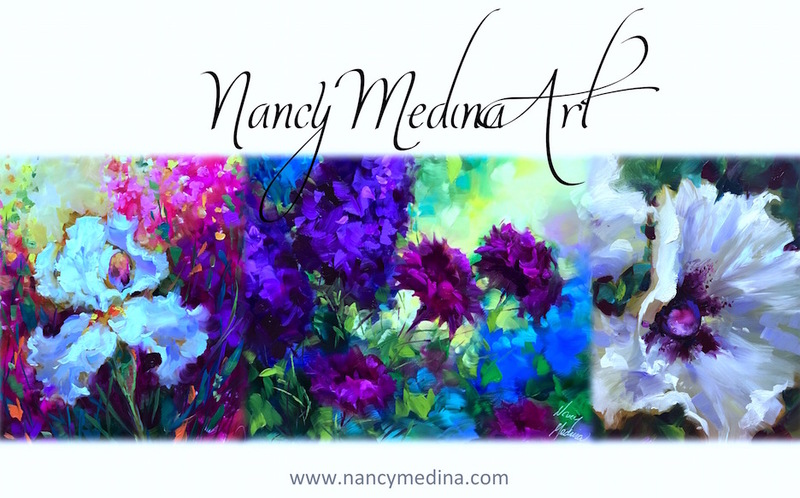 Absolutely LOVE this one Nancy - gorgeous colors! The words don't come...I am truly awed with your work. 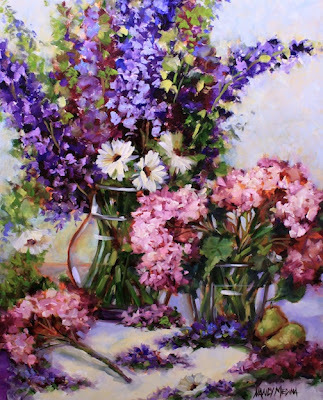 Your paintings have actually made me smile, something I have not done in a very long time. Thank you....truly!